Almost everyone knows that bathroom corner shelves are great for holding toiletries. However, you won’t find too many marble distributors giving you creative advice about how you can use theses corner caddies. Most wholesale suppliers are more interested in giving you the measurements and how much they have on hand. That’s not necessarily a bad thing. But, it might be helpful to understand what all you can do with marble corner shelves along with all of the creative ways you can install them before trying placing your order. You might end up needing more than what you originally thought. What Kind of Marble Distributor Should You Use? Stonexchange, a marble corner shelf distributor is based in Miami, Florida where this kind of a product in particular is in high demand. Because of this, we know what most buyers prefer and what they’d appreciate—even if they’ve never thought to use a marble corner shelf in such creative ways. Eliminates cheap looking shower caddies. Almost every bathroom has that shower caddy hanging from their shower head. You almost expect to see it in every bathroom. Where else would your buyers keep their fancy creams and lotions? Sure, there are plenty of options: on the ledge of the bathtub is usually the default shelf. But where do you put your shampoos and body soap if you have a claw foot tub? Have you ever thought of that? I suppose we’d go right back to the shower caddy. They come in a variety of styles and materials: nickel-finish, a plastic-coated white, and the steel—all of it will rust over an extended period of time. Then things just start looking kind of gross…The next thing you know, you’re replacing your shower caddy with yet another disposable one. And in 6 months, repeat! A marble shower shelf can hold your towels. Your marble corner shelves don’t always have to be for wet things. Depending on how large your shower is, you might be able to afford to install a marble shower caddy towards the back of the shower where water can barely reach—unless you have the kind of bathroom with multiple shower heads, then that’s a totally different situation. At any rate, if you get a big enough marble corner shelf, you won’t need to worry about tip-toing across your bathroom floor dampening everything in your path to grab your towel, or worse using your toilet bowl as a towel holder! Create the most stylish-looking medicine cabinet ever! Who says that medicine needs to be locked away? Not all bathrooms have medicine cabinets anyway. So where would you keep such items? In cases like this, you have to use your creativity. This is where marble corner shelves can make a big impact. Of course, this will have everything to do with how your bathroom’s footprint is laid out. For instance, if your sink is up against a corner, then you can easily install a few marble corner shelves there. However, not all bathrooms are built the same. Many vanities are up against a flat wall. In that case you’d install it in the next assessable corner that not only makes senses, but also looks good! Install it above your toilet bowl. Let’s face it, there are some things that need to be in close proximity of the toilet bowl! Why not install a decorative marble corner shelf above the toilet? You can get rid of that make-shift bathroom caddy that you have standing over the toilet bowl too. It’s fashionable and opens up the space in an already cramped room. You know you need a shower seat. You just do. So, you might as well get a professional to install a beautifully crafted marble shower seat to make it look good. This way, you can avoid having your bathrooms look like a nursing home. You’re loofa ball needs a home. The only reason it might be OK for loofa balls to touch while they hang tangled over a showerhead is because they are colorful. Would you want your wet towel to be draped over someone elses? Probably not. You can install several marble corner shelves above and around the bathtub, allowing every family member to have his or her own designated toiletry shelf. The soap! Don’t forget the soap! Not everyone uses liquid body wash. Some people still prefer the old fashioned use of bar soap. That is all the more reason to install multiple marble corner shelves into a shower. Like a toothbrush, most people prefer to have their own bar of soap. In this case, they’ll certainly need somewhere to place that slippery thing! The corner shelf. That’s it! Your buyers’ families will be able to set that bar of soap right next to the rest of their toiletries. Perhaps the purchasing family isn’t all that big in numbers after all. Now, they have all of these marble corner shelves with more room in their shower than they know what to do with. In that case, use some of that extra space to place some beautiful ferns there. Stage your bathrooms to make your buyers feel like that they’re purchasing an oasis! Showers stalls have limited space, so every bit of square footage is precious. Even a shower caddy cannot always provide enough real estate to stock all of your toiletries. 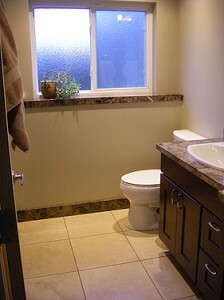 Installing marble corners shelves in your shower stalls will look great in your new bathrooms. In case you were wondering, your marble corner shelves do not always have to match the tiling in your bathroom. Get creative and find colors in your bathroom that might otherwise be overlooked. Take a look at Stonexchange’s online inventory of marble corner shelves and shower seats here. We even have travertine stone! Place your order with us by calling 1-305-731-2400 or contact us online today. You can even request a free online catalog here.